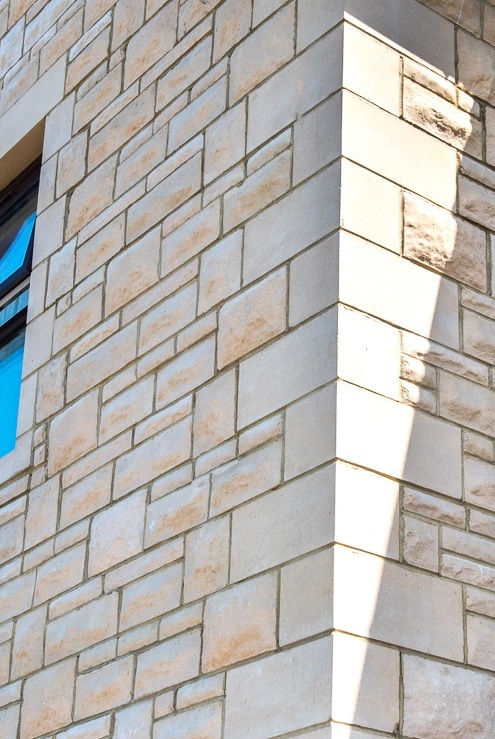 Our Quoins are produced in thicknesses to suit various walling finishes and in heights of 140, 215 & 290mm to suit brick, blockwork or masonry coursing. 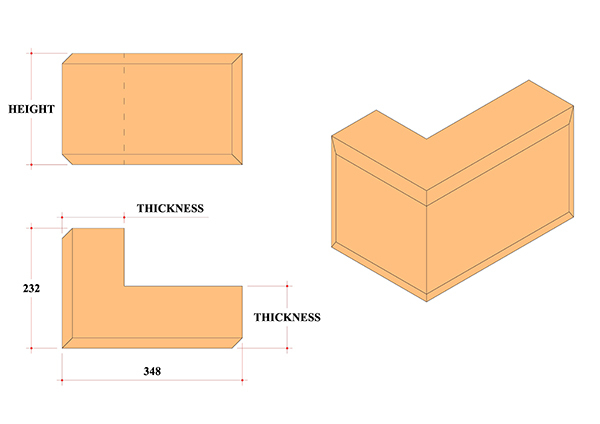 They are also suitable for use in both traditional and timber framed buildings. 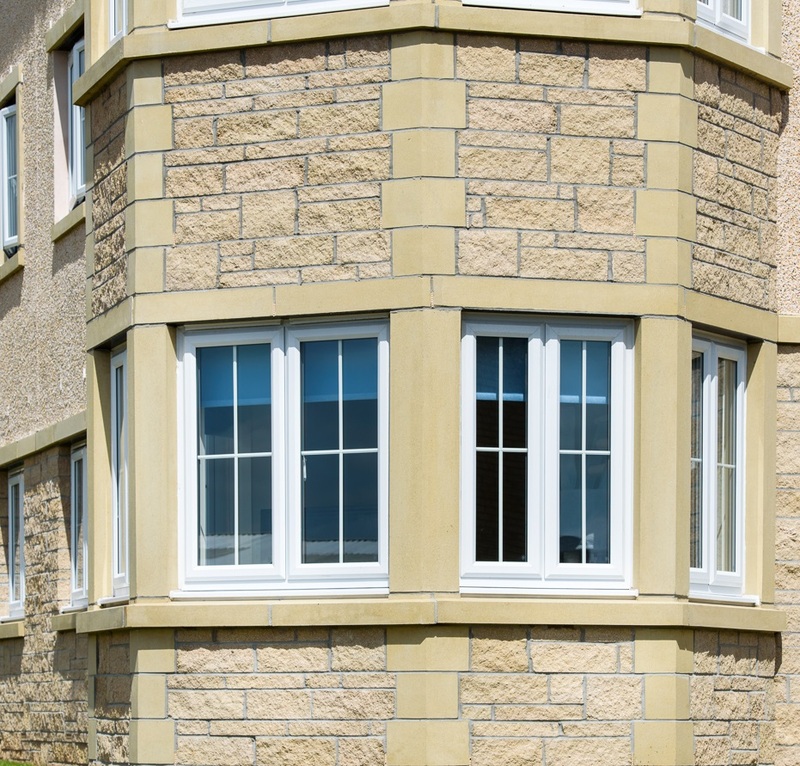 Quoins are an ideal feature and decorative solution when forming corners, eliminating the introduction of “cut” blocks as pictured immediately below. 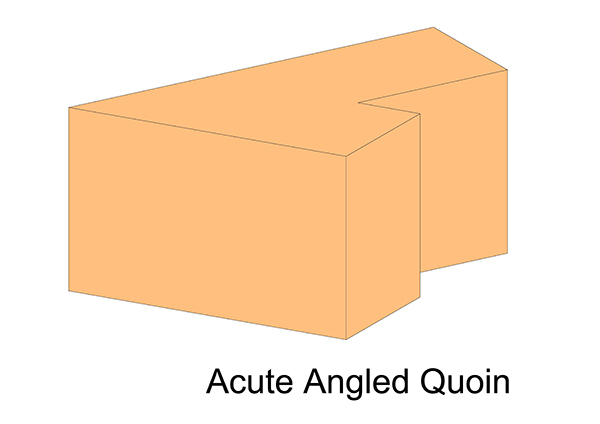 Special V-Shaped Quoins 135 Degree internal angle. 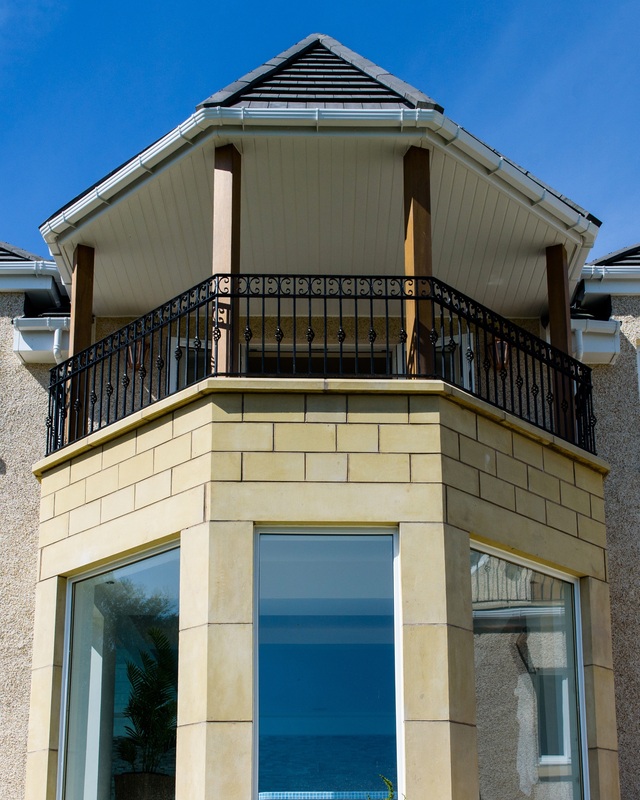 Chamfered Quoins have a 20mm x 20mm chamfer to all outside edges and are either 120mm thick overall for facing brick or masonry situations and 140mm thick overall for render or roughcast applications. 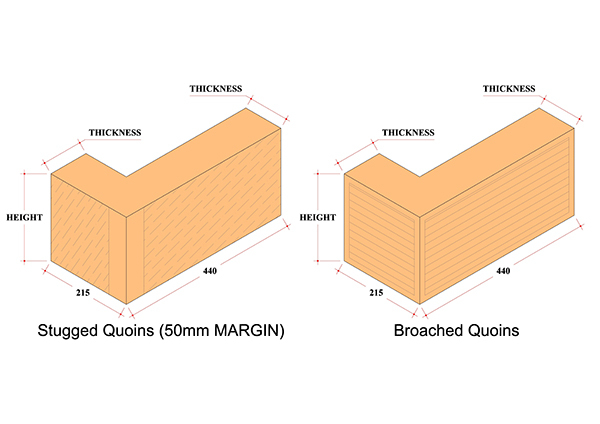 Plain Quoins are either 100mm thick for facing brick or masonry applications, 120mm thick for render or roughcast applications or where a projection from the finished brickwork is required, or 140mm thick for use with our 140mm thick ashlar blocks. 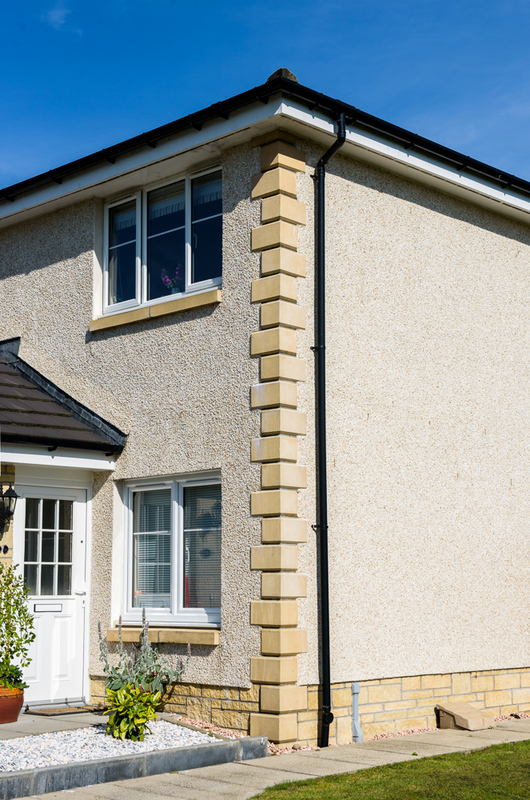 Tooled Quoins are designed to be used in conjunction with our tooled ashlar blocks and are available in 100mm and 140mm thicknesses and heights of 215mm and 290mm. The toolings match our stugged (sparrow picked) and broached ashlar which has horizontal furrows with a 15mm smooth margin. 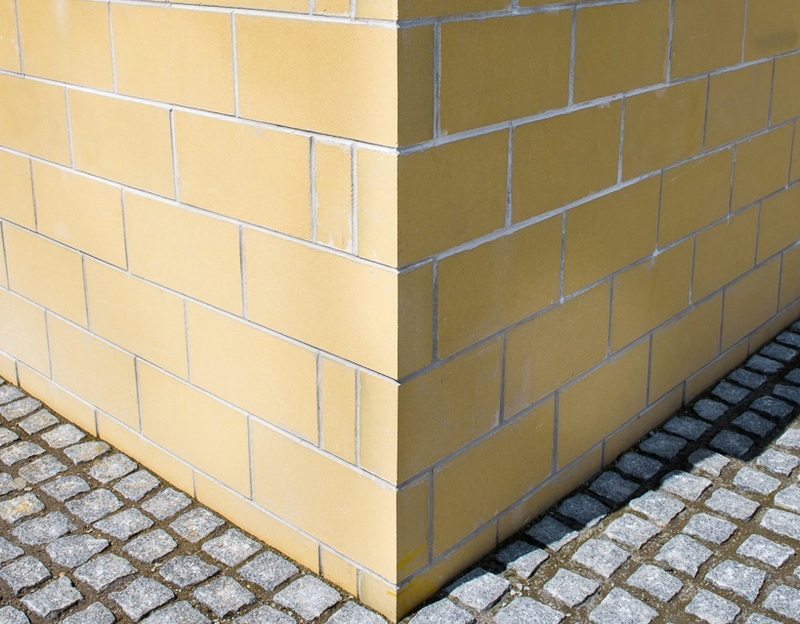 These small Quoins can be used in facing brick or masonry applications where small and relatively inexpensive Quoins are required. 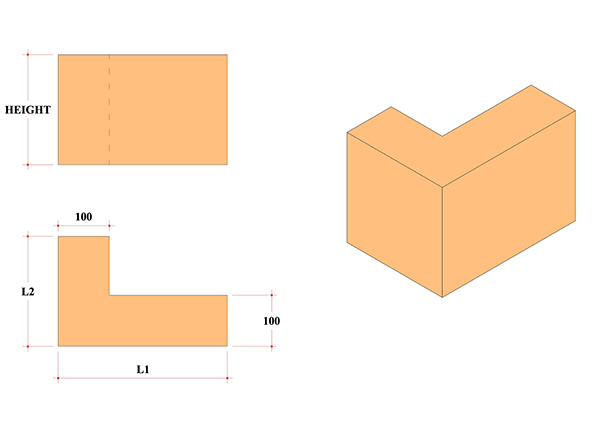 These are available in one thickness (100mm) and two heights, 140mm and 215mm. 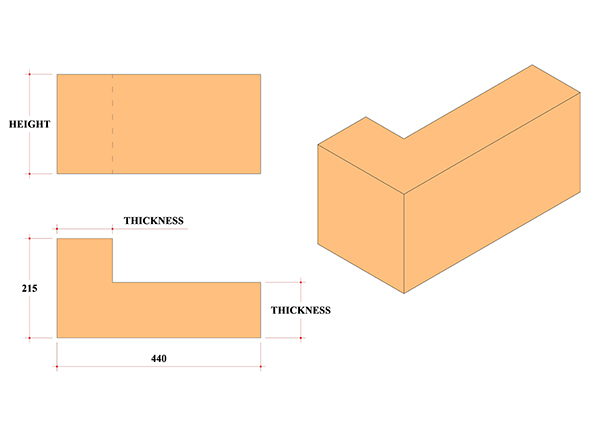 If these 100mm thick Quoins are used in roughcast applications, they can be built 20mm proud of the brick or block line to allow for the roughcast. Attention should be paid to the increased cavity – particularly in timber framed buildings where thicker cavity fire stops will be required. 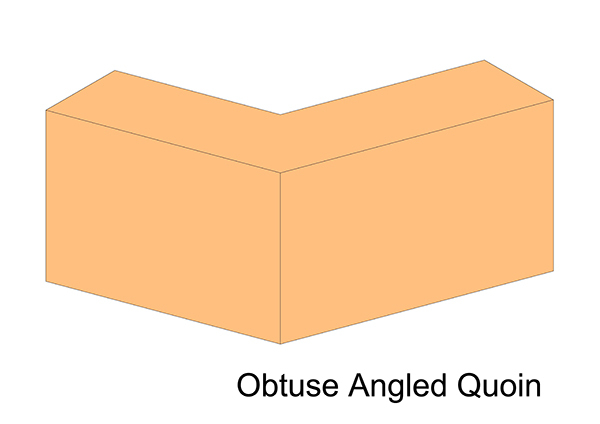 Special quoins, including obtuse and acute angled quoins can be produced to suit customer requirements at any height and leg lengths, however advisories may be made if the handling self-weight becomes excessive.